Bruce Scully - thank you Bruce. Here is a great one to start with : Barbara ...who ? probably 1940s - any one know ? 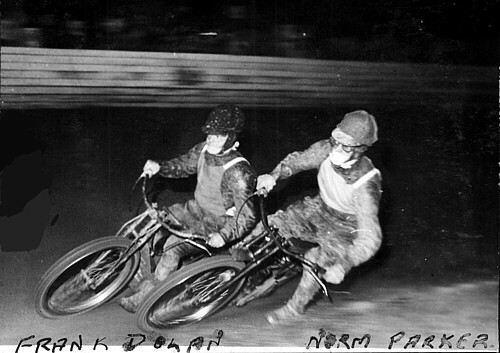 Frank Dolan seen here with English rider Norman Parker - late 1940s. 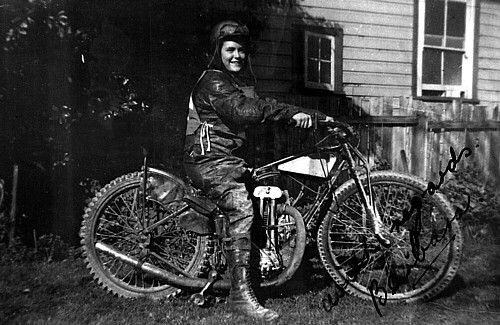 Lionel Benson - Australian and International Solo star rider. 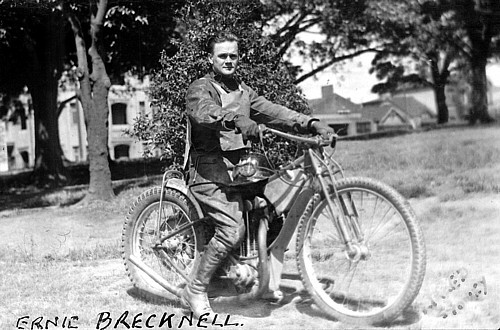 Ern Brecknell - Australian Test rider and also an International. 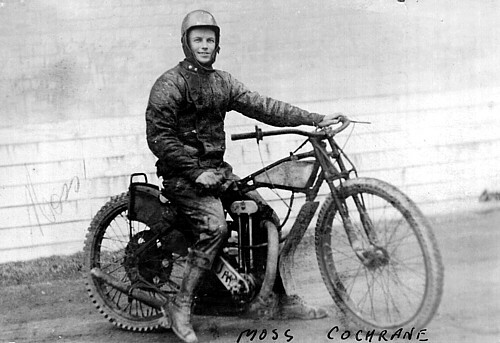 Moss Cochrane - Moss was a promising Newcastle junior who rode off 30 yards at the Sydney Sports Ground in the 1946 - 47 season quite often beating juniors of the like of Le Breton, Levy and Gates. 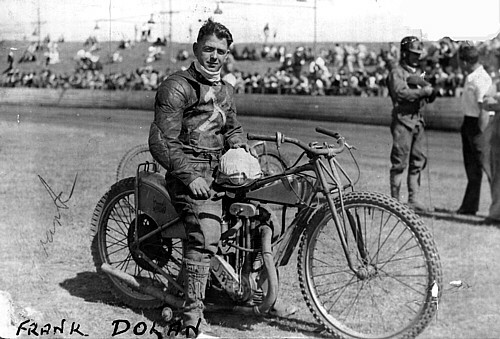 It appears he did not go on with Speedway in Sydney after this season. 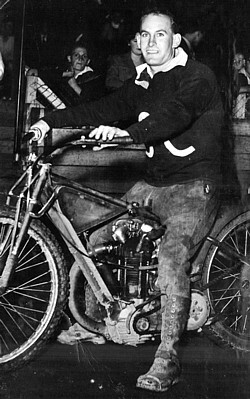 Aussie Test rider and International - Frank Dolan - infield on the Sydney Sports Ground wearing the English league West Ham breast plate. 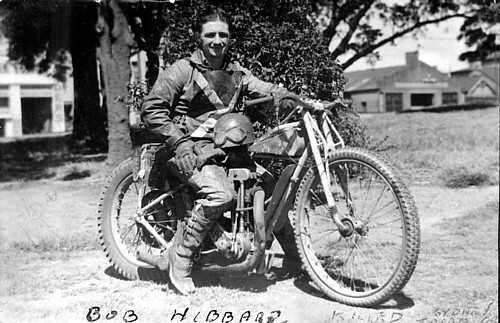 Bobby Hibbert - Bob was a cripple but got to be a B grade rider - he lost his life in an accident at the Sydney Sports Ground Speedway on 10.5.1946. 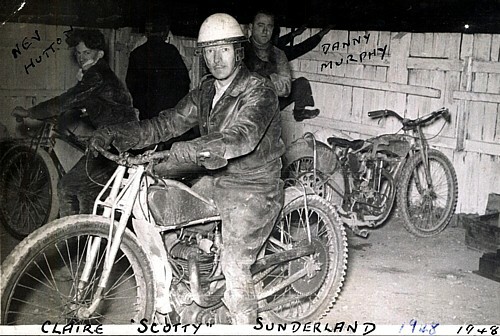 Scotty Sunderland in 1948. Fred has written the names of Nev Hutton and Danny Murphy as being in the background. 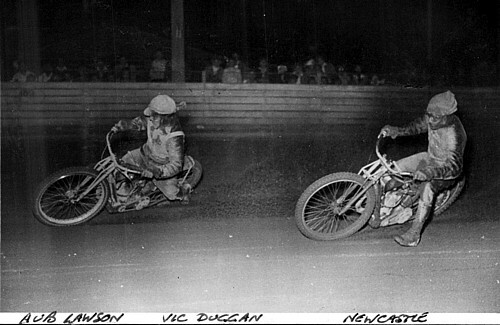 Thank you to Bruce Scully for sharing these rare photos with us.